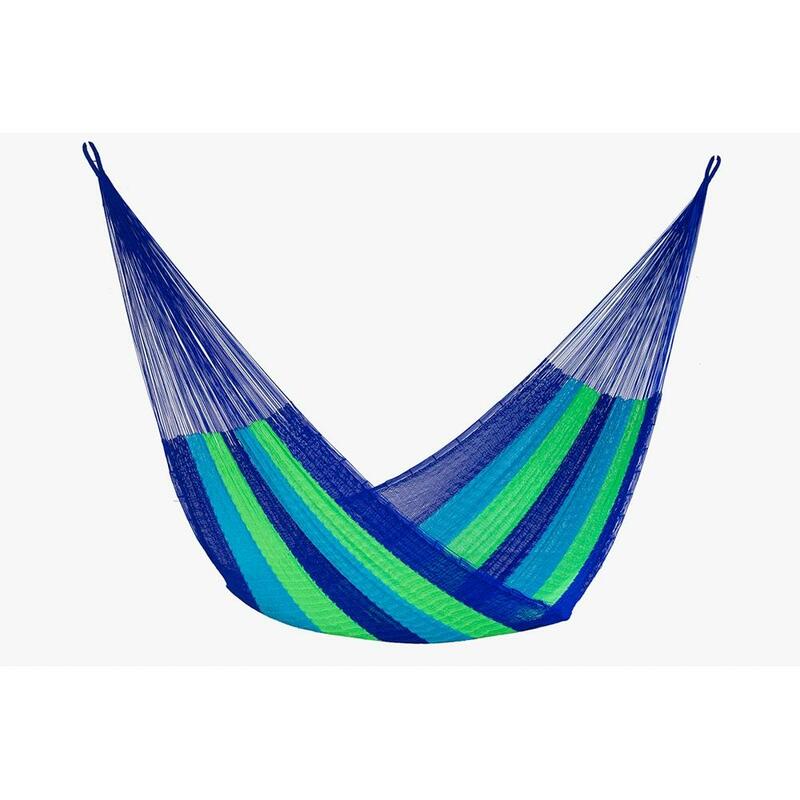 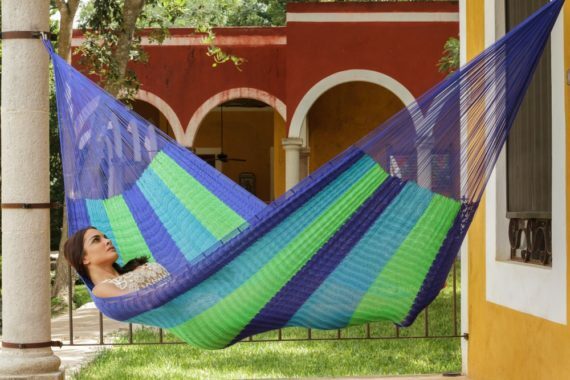 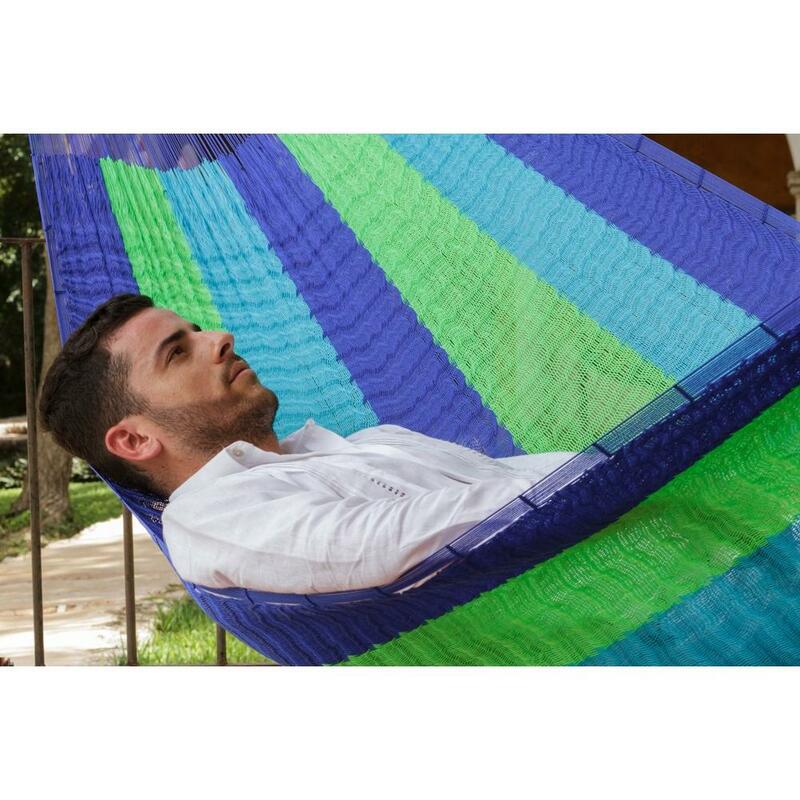 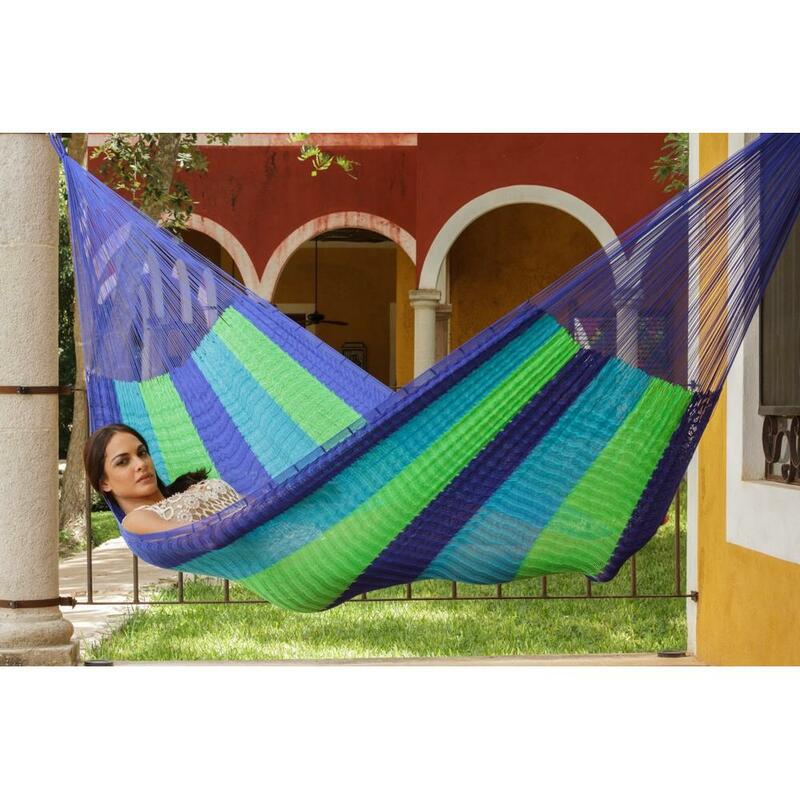 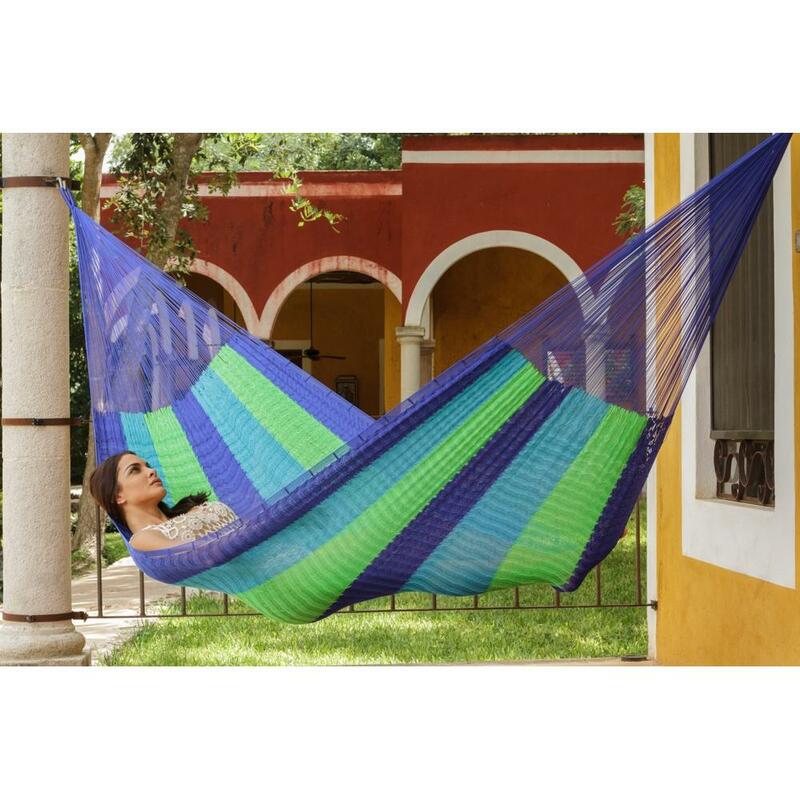 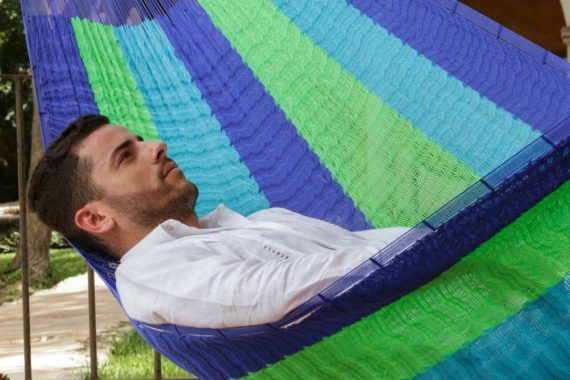 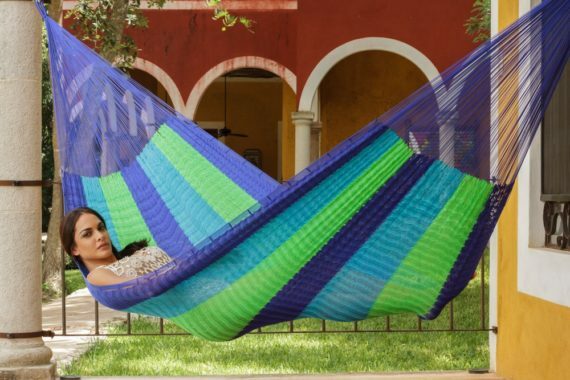 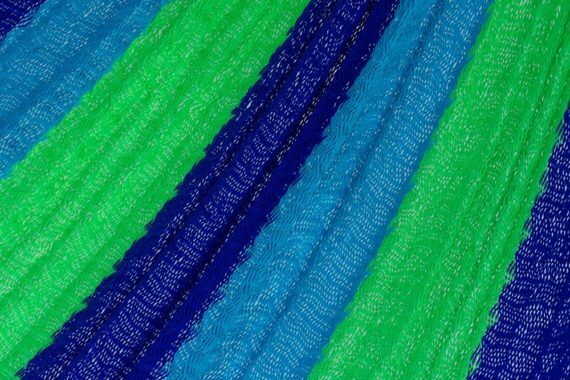 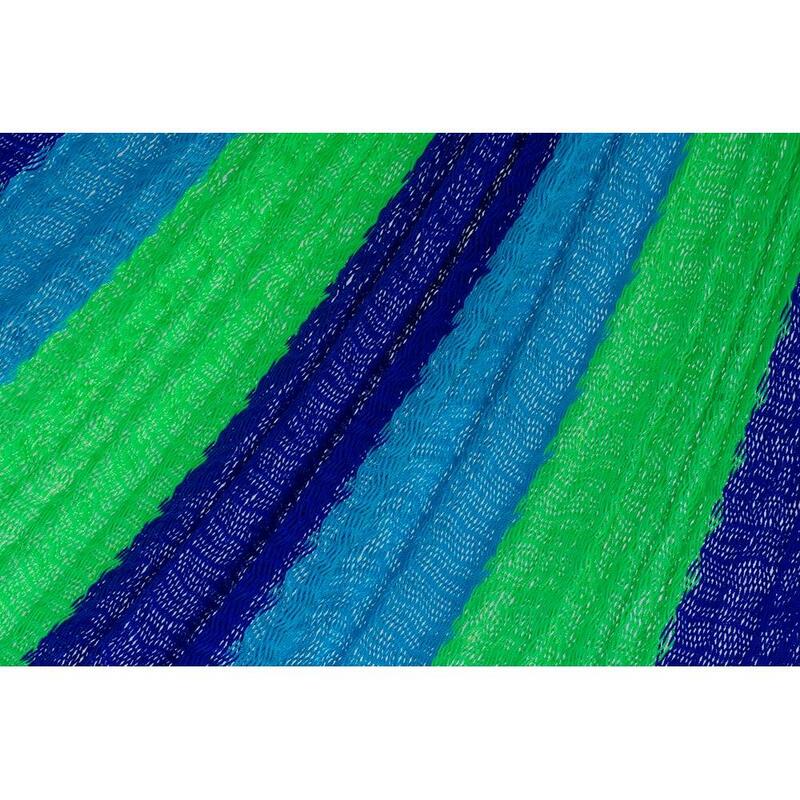 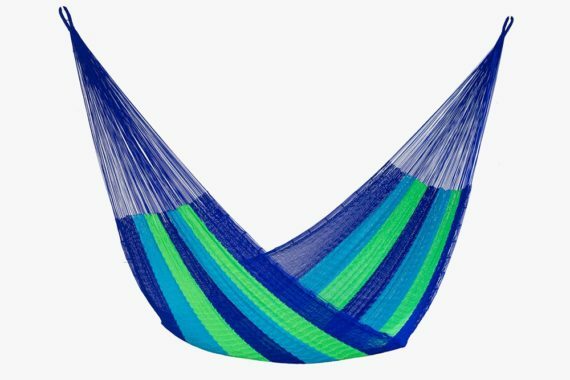 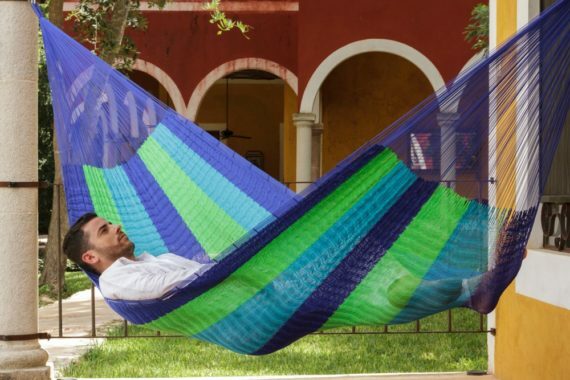 This beautiful queen sized Super Nylon hammock mimics the colours of the ocean. 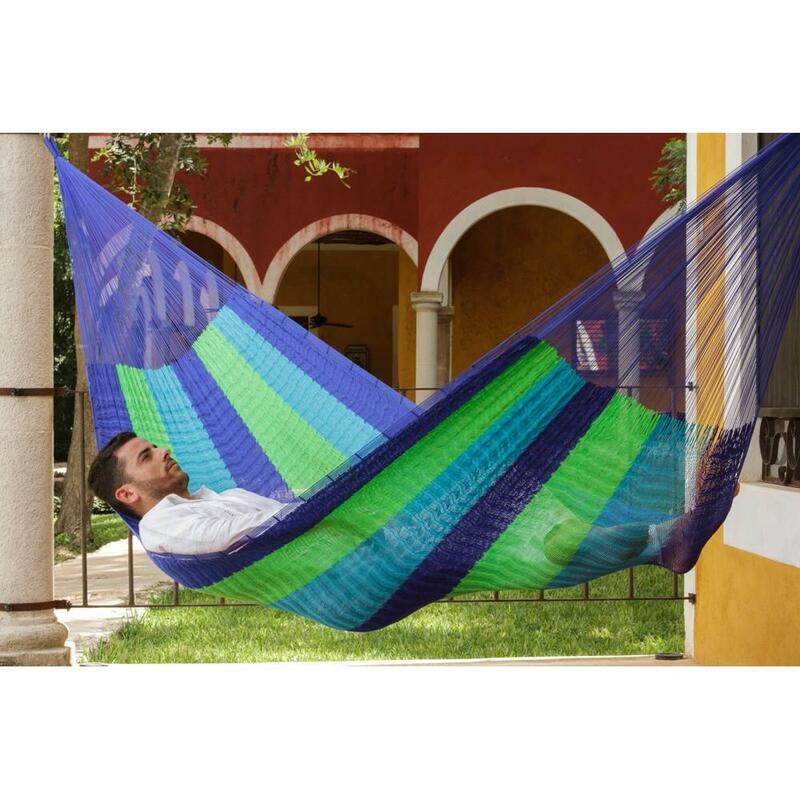 Our Super Nylon hammocks are the most durable of all. 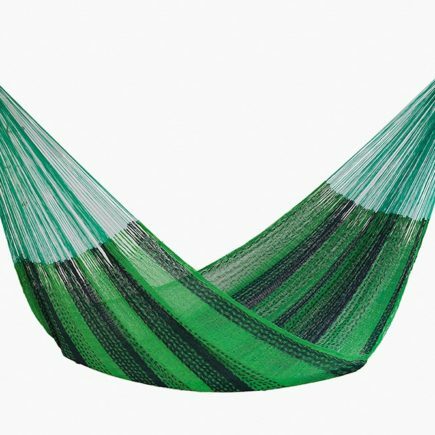 Hand-woven with UV resisitant nylon string, resistant against mildew and rot, these hammocks are built to last a lifetime. 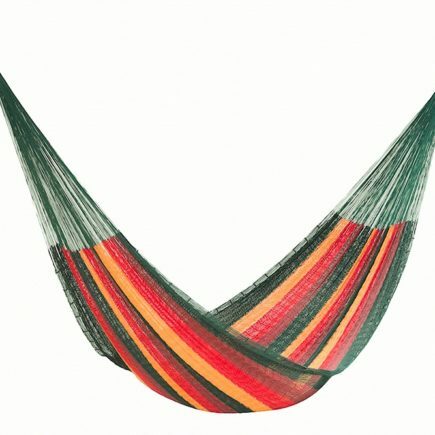 If you’re after a hammock you can leave uncovered and unprotected outdoors, then this is what you’re after.